GALION — When you’re grieving the death of a family member or friend, you may dread the holiday season. The thought of attending social gatherings, dealing with family traditions and obligations leave you anxious and overwhelmed. Your sadness can seem unbearable. You may wish you could skip these next two months and go straight to the routine of the next year. So what can you do to lessen your stress and loneliness? St. Paul United Methodist Church in Galion is offering a program called “Surviving the Holidays” on Sunday, Nov. 18, starting at 3 p.m.. It will be followed by a Candlelight Service honoring our deceased loved ones. This helpful, encouraging program, will included video interviews with top Christian experts on grief and recovery topics and personal testimonyfrom people who have experienced the holidays after a loss. 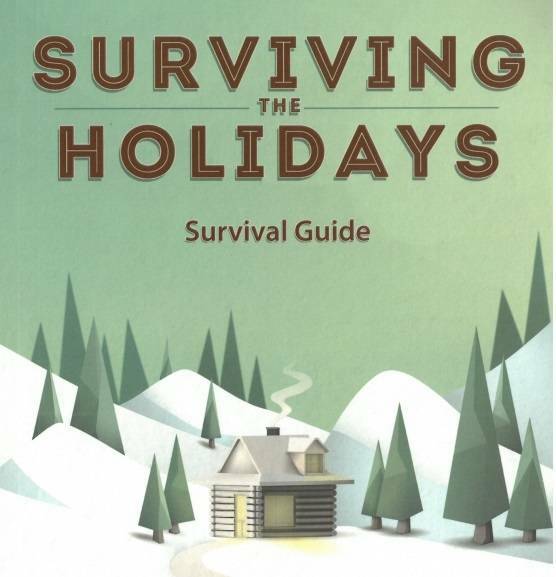 Those who attend will receive a Holiday Survival Guide that comes with practical strategies, encouraging words, a gospel presentation, journaling ideas and exercises for daily help through the holiday season. For more information, please call Kathy at 419-468-7977 or Mary at 419-845-3195.